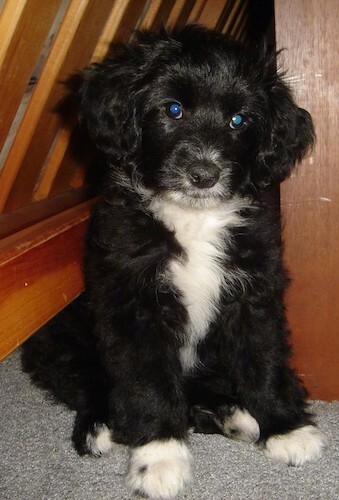 "This is Rozzi my Scottish Terrier / Bichon/ poodle mix as a puppy at 10 weeks old. She had just woken up when I took this picture. She is very smart and learns commands in just a few days (even though she is only 10 weeks)"